Welcome to Edinburgh, the capital of Scotland, which was voted the most desirable city to live in the UK in 2009 and designated a City of Literature. Getting cheap flight tickets to Edinburgh from London or Manchester is pretty straight forward, with both scheduled and low-cost services competing for traffic, there are plenty of low fares to Edinburgh. Watched over by Edinburgh Castle, the city combines beautiful medieval relics with Georgian building style and magnificent modern architecture. In fact, both the Old and New Towns of Edinburgh became UNESCO World Heritage Sites in 1995. The Old Town spans from Edinburgh Castle along the Royal Mile to Holyrood. All of them are absolute go-to places while in the city, and no trip to Edinburgh is complete without having seen them! Also, pay a visit to St. Giles Cathedral, which dates back to 1243 and is commonly called the High Kirk of Edinburgh. Mary King's Close and the Camera Obscura on Castle Hill are two more must-sees in Old Town. Do enjoy a walk along 16th century Royal Mile while in the Old Town. The New Town features gorgeous Georgian architecture. It is where you will find the Scott Monument, commemorating Scottish poet Sir Walter Scott, and attractions like the Georgian House, a house built and furnished entirely in the style of the Georgian era. For some shopping splendor, check out Princes Street, which marks the southern edge of the New Town. Of course, Scotland stands for whiskey and beautiful Celtic music. If you wish to try your way through the large array of whiskeys on offer, you should absolutely pay a visit to the Scotch Whisky Heritage Centre at the top of the Royal Mile, where you can sample this liquor at a fairly reasonable price. However, if you prefer having a Whisky and listening to some Scottish Folk Music, any pub in Old Town will more adequately suit your needs. If you are planning on visiting many of the city's sightseeing spots, we recommend buying the Edinburgh Pass. It offers a £155 worth of entry to 27 of Edinburgh's top attractions, a guidebook, discounts and free public transport around the city. You can get the day passes online or at the Tourist Information Centres. Edinburgh is a compact city, which is why it is easy to get anywhere by foot. However, there also exists an extensive bus network and a tramway, which links the center of Edinburgh to Edinburgh Airport. The best travel time for Edinburgh is May to September. Now compare flight tickets to Edinburgh However, you will experience both sunshine and rain on most days. Therefore, come well-prepared for the weather changes! 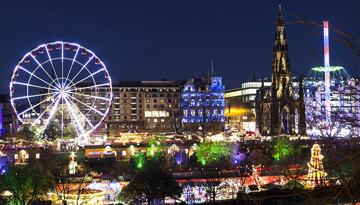 Expedia offers on Easyjet flight to Edinburgh from London - Prices from £67 return. 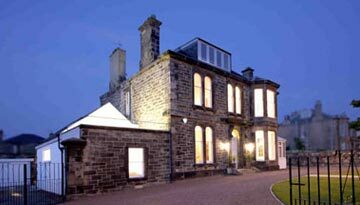 Elegant Apartments Edinburgh offers 4 star 1 night room stay at £364 & save up to 36%. 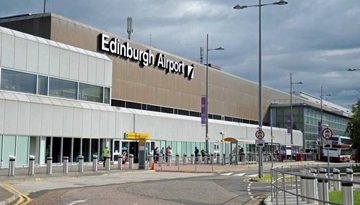 Fly from London Stansted - Edinburgh & Stay for 7 nights with 3 star accommodation. Room Only.